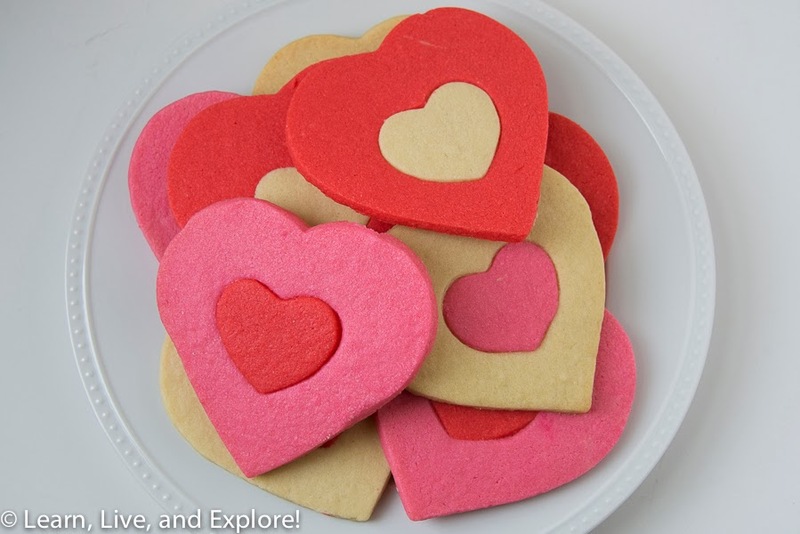 Double Heart Sugar Cookies ~ Learn, Live, and Explore! These cookies were another Munchkin Munchies inspiration, like my recent Super Bowl cookies. I completely agree with her assessment, they are a great wow cookie with very little effort. She used a scalloped circle for the outside shape, but I wanted to get deep into the Valentine's theme, so I opted for heart within heart. Make sure your cookie dough is rolled out in between parchment paper before it is chilled. 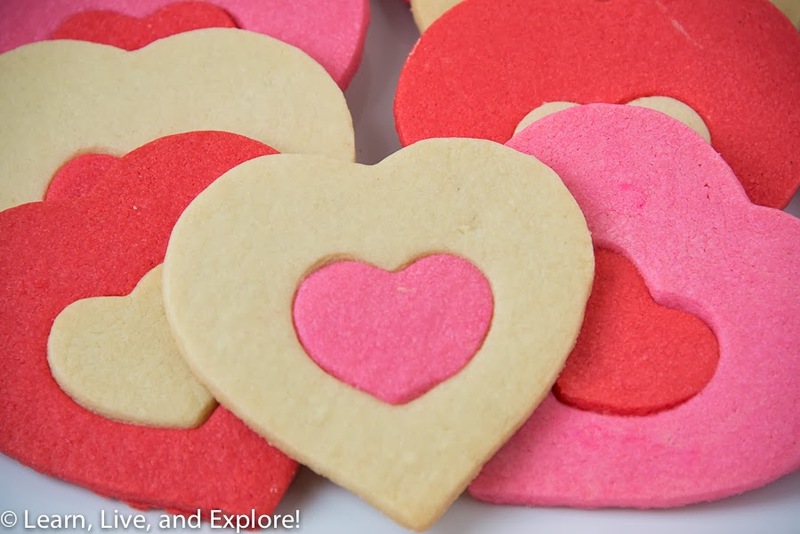 These cookies work best when the dough is cut cold because it's much easier to punch out the heart from the middle and swap it for another color. For a great sugar cookie recipe that works every time for these cut shape cookies, I actually use the same recipe as Munchkin Munchies - lots of butter!